The Falmouth Memorial Library had its beginnings in a home the Library purchased in 1951. As the demand for services and space increased, the Library constructed an addition with a meeting room and additional children and adult areas in 1995. Since the expansion in 1995, there has been a 238% increase in circulation, putting a growing strain on the already tight space. There have been a number of false starts to expand the building over the last ten years. We began working with the library in 2013 on an expansion that will support the needs of the library today and into the future. 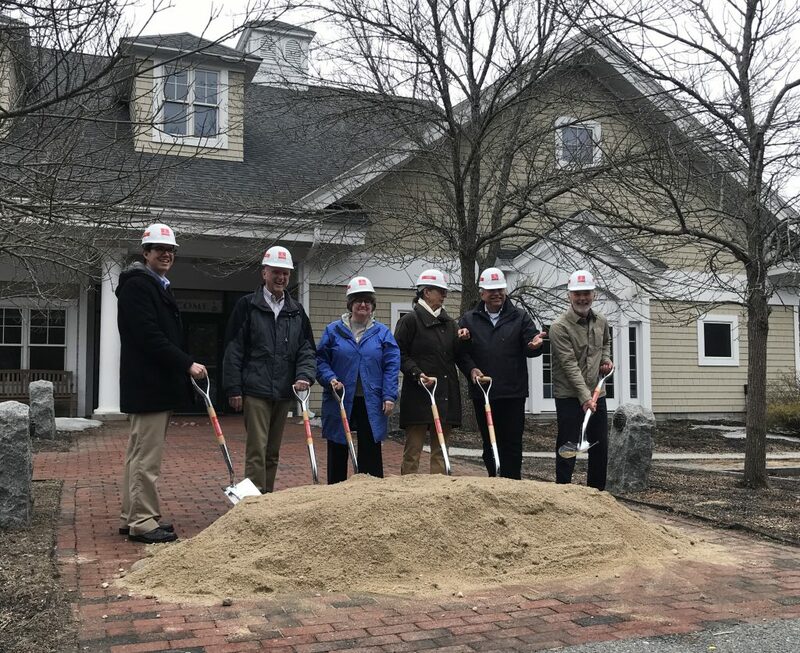 Working closely with the building committee, library staff, town administrators, and the community, SSA has developed a plan that will expand the library from its current 10,780 SF to 18,720 SF. Two new additions added to the existing 1995 library building almost double the amount of space available for library patrons. The plan has been designed to have a feeling of spaciousness and connectivity, allowing for maximum visual oversight as the library increases in size while minimizing the need for more staff. The children’s and adult areas have been separated into two wings, linked by an open public computing and periodical reading area. Large windows and strategically placed skylights will provide generous amounts of natural daylight with views to the gardens and courtyard outside. The new, expanded facility will be a high-performance, sustainable building that acts as a vibrant hub for community engagement and learning. 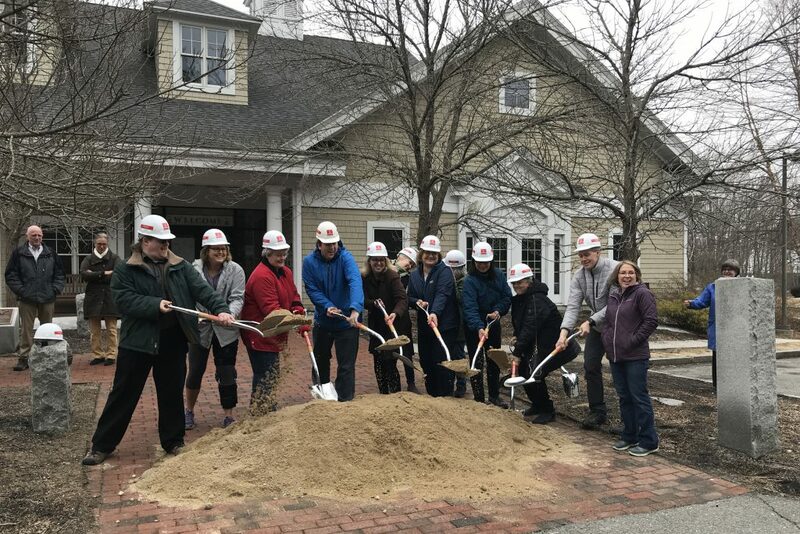 SSA gathered with Ledgewood Construction, Library staff, trustees, volunteers, and community members on March 30th for a long-awaited groundbreaking. Construction will officially begin in early May. Stay tuned to see the progress updates.